The OVERVIEW of Global Dialogue 2008 was written from the materials found in the workshop sessions, group discussions by email and discussion roundtables summaries, brain-storming exercises, vision statements, comments and recommendations, reviewing of research papers and from results of the dialogue held from September 1st 2007 to August 31st 2008, and especially the dialogue held in the month of August. Materials published in the press releases, proclamations and Newsletters were also included. 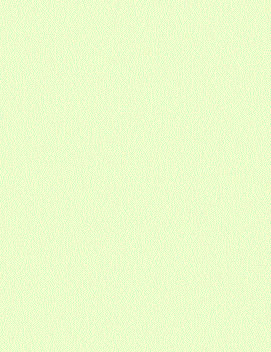 OVERVIEW section can be accessed through the link Dialogue Overview shown here above at the top of this webpage. Global Dialogue 2008 Recommendations were those given in all papers, articles, and comments throughout Global Dialogue 2008. Following the assessment of the work done, other important recommendations were obtained. All were described and can be accessed through the link Recommendations shown here above at the top of this webpage. 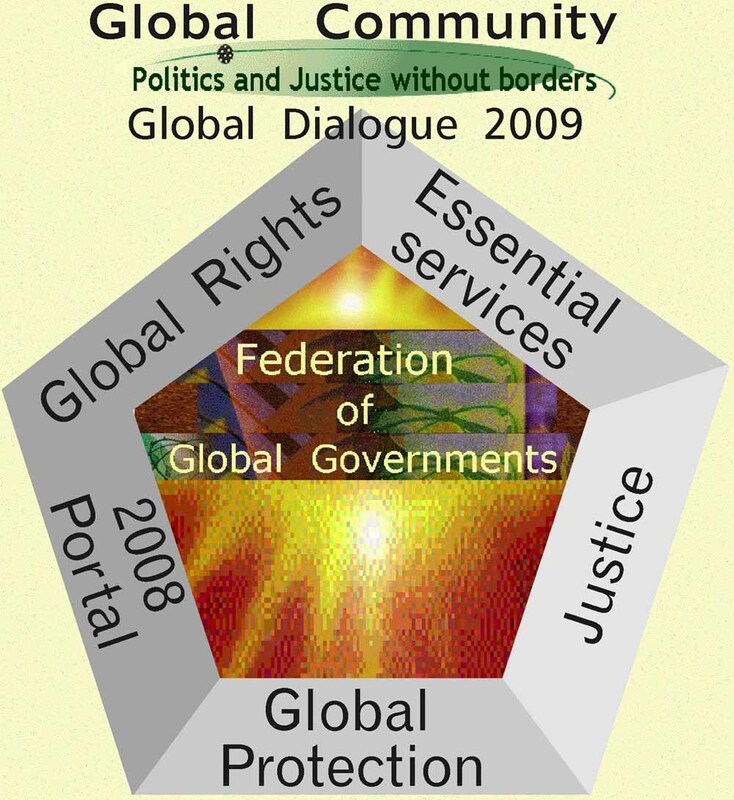 The Global Movement to Help is the final product of the assessment of the work from all Participants of Global Dialogue 2008. It is very important that the Movement be promoted by all Global Citizens. From now on we serve the people of all nations, all life on Earth. Each Global Government is made more responsible and accountable to the people of member nations within the region where it operates. Essential services to the people of each member nation are now the most important global rights on the Scale of Global Rights and are protected by the Global Protection Agency (GPA) of each member nation. Global Community Global Movement to Help offers Essential Services to serve the people of all nations, all life on Earth. As a first step to getting help, all nations can and should approve the first three sections on the Scale of Global Rights. The approval would supersede the political and physical borders of participating member nations. The approval would mean politics and justice without borders only concerning those three sections, i.e essential services. 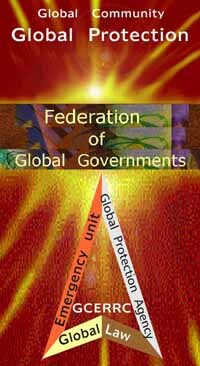 The Global Protection Agency (GPA) would have the approval from all member nations to give immediate help, bypassing normal government protocols. Somewhat like an emergency unit but at the global level. That is what those first three sections on the Scale of Global Rights mean. They represent an efficient and immediate emergency response to help. First, participating member nations need to give their approval to the GPA. The GPA is a global organization much like the World Trade Organization (WTO) for trade between nations, the World Health Organization (WHO) for health, or the European Union, North American Free Trade Agreement (NAFTA), South American Community of Nations (SACON) for trade and economics. The GPA offers an efficient emergency response to help. The GPA is a short term solution, an immediate and efficient response to help. There are also long term solutions. As with the short term solution, the most significant long term solution is also related to the Scale of Global Rights. The Scale was entrenched in the Global Constitution and is thus the fundamental guide to Global Law. Now the Scale of Global Rights is a long term solution and is also a part of the Global Movement to Help of the Global Community. The Scale was designed to help all life on Earth. What would be preferable is that nations unite amongst themselves to help. Over time, we have seen the creation of the United Nations, the European Union, the South American Community of Nations, and the North American Free Trade Agreement. Except for the UN, these organizations are mainly concerned with trade and economics. 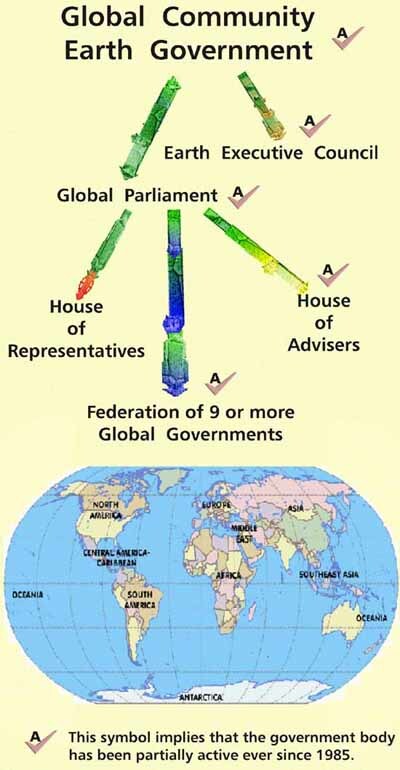 The Global Community offers a more meaningful union in the form of nine or more Global Governments. For instance the South American Community of Nations can be a Global Government by simply accepting the Global Constitution as a way of dealing between member nations. A Global Government is concerned not only with economics and trade, but also with the environment, health, agriculture, energy, food, social, cultural and many other essential aspects. The very first step of the Federation, and maybe the only one for several decades ahead of us, would be the approval of essential services amongst the participating member nations. 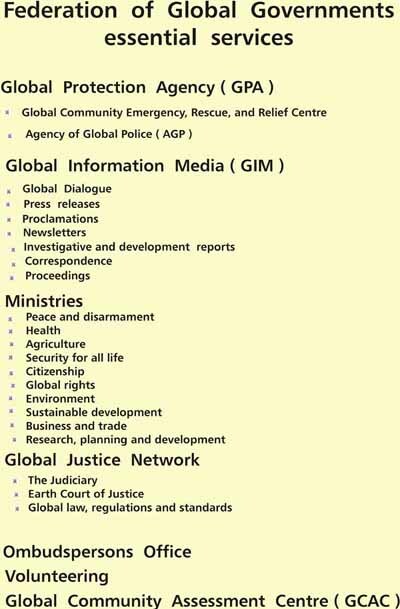 The Global Community has researched and developed such services and listed them here. All of them are already in operation on a small scale. We want each Global Government to take a larger share of responsibility of the specific region where it operates, and be more accountable to the people of that region. And we want a Global Government to be made of wealthy nations as well as nations in need of help. Be compassionate. Each Global Government is obliged to offer Essential Services to the people of its member nations. The Federation of Global Governments is now applying more emphasis on the urgent need from the people of all nations to give everyone essential services. The urgent need to give all Global Citizens essential services was made obvious in the past few years after the occurrence of natural disasters, and by global destruction and disasters created by governments and the military. The Global Community has already declared a planetary state of emergency to that effect. In the chaos after the magnitude 7.9 earthquake in China, which made 5 million homeless, many survivors were separated from their families. Burma was hit by a cyclone at the beginning of the month of May, leaving over two million persons in need of emergency relief. Thousands of children and parents have been separated. Nowadays, natural and human made disasters have become more frequent and require a rapid response to help. The Global Community offers both a short term solution and a long term solution to the people of all nations. Both solutions have been integrated into the Scale of Global Rights , itself a necessary first step which must be approved by all of us. What we offer to the people of all nations is to guarantee rights of Sections 1, 2, and 3 on the Scale of Global Rights. Those are our essential services. The GPA is a global organization much like the World Trade Organization (WTO) for trade between nations, the World Health Organization (WHO) for health, or the European Union, North American Free Trade Agreement (NAFTA), South American Community of Nations (SACON) for trade and economics. The GPA offers an efficient emergency response to help. The GPA is a short term solution, an immediate and efficient response to help. There are also long term solutions. As with the short term solution, the most significant long term solution is also related to the Scale of Global Rights. The Scale was entrenched in the Global Constitution and is thus a fundamental guide to Global Law. The work of the Global Community, the global civil society, and the determination of government worldwide, make it possible for everyone to comply with Global Law. Building global communities requires a mean to enforce Global Law for the protection of life on Earth. Global Civilization guides humanity for the building of global communities. This is a great opportunity for globallateralism. Global Law includes legislation covering all essential aspects of human activities. The Global Protection Agency (GPA) will train and lead a global force, bypassing traditional peacekeeping and military bodies such as the United Nations and NATO. The GPA will enforce the law. And that is a long term solution to the planetary state of emergency we offer the Global Community. And that is also how we can stop the global warming of the planet and protect the global life-support systems, thus largely improving the quality of life of the next generations. The Global Community Global Justice Movement along with the Global Community Peace Movement have been and continue to be the two major pillars of the Global Movement to Help. The Global Justice Movement has many inter-related components: monetary, social, economic, environmental, democracy, and peace. 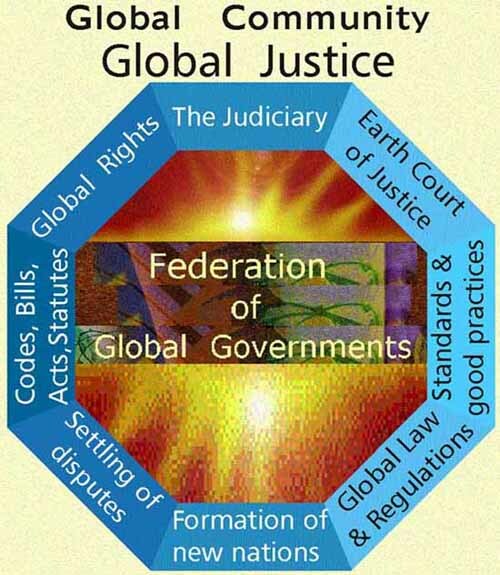 The Global Community Global Justice Movement promotes new thinking to benefit all economies and societies – the true, fair, democratic and efficient solution to poverty. The Global Community has the productive resources to eliminate poverty and injustice. Humanity is now in the process of developing the democratic and transparent communications infrastructure which can bring this about. The Global Community movements for Global Peace, Global Justice, and the Global Movement to Help, are committed to making all Global Dialogues and Global Exhibitions safe spaces that are open, accessible, and accepting of all. We welcome everyone to participate in making this happen. If you have any special needs, please let us know.